Remember a few weeks ago when I introduced you to Hope and Zak, the college kids who won a business competition to make sea salt in Wellfleet? Well, they inspired me to do a little digging. Last week I drove up to Bourne to meet Judy Riordan-Mackenzie, who volunteers at the Bourne Historical Society. She leads tours of the replica saltworks at Aptucxet Trading Post in Bourne, and she told me all about the history of salt production on the Cape. Turns out, it's fascinating. That photo up there is from the Orleans Historical Society. It shows a windmill pumping seawater into the saltworks sometime in the 1800s, which is when salt production on the Cape was at its peak. Prior to 1777, there were no commercial saltworks here. Settlers kept a pot of seawater over the fire in the winter to produce small amounts of salt for household use, but when it came to making salt cod, they had to buy the bulk of their salt from England. This all changed with the start of the Revolution. Just like tea, salt was taxed, and colonists were boycotting British goods. Cape Codders had to figure out how to make salt at home, and they had to figure it out fast, because preserving cod as salt cod was their number one industry. The Continental Congress recognized the problem and set out several incentives to increase salt production. These were things like an extra third of a dollar per bushel, which was pretty good since salt sold for six dollars a bushel, or deferment from fighting in the war. They worked. That same year, John Sears opened the first saltworks in Dennis. His design was pretty simple. He built a 10 by 100 foot wooden platform and filled it with seawater, then waited for the water to evaporate. He produced three bushels that year. The next year, he redesigned. He added rolling roofs for when it rained, divided production into three stages to filter out impurities, and got 30 bushels. 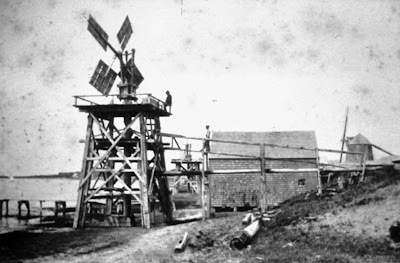 Then Nathaniel Freeman from Harwich came up with another good idea: use a windmill to pump the water into the platforms. That helped a lot. 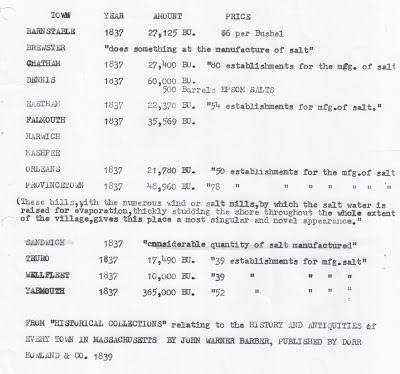 By 1837—sixty years after the first saltworks opened—there were 658 on the Cape. All together they produced 26,000 tons of salt every year. But then salt mines were discovered in western New York. 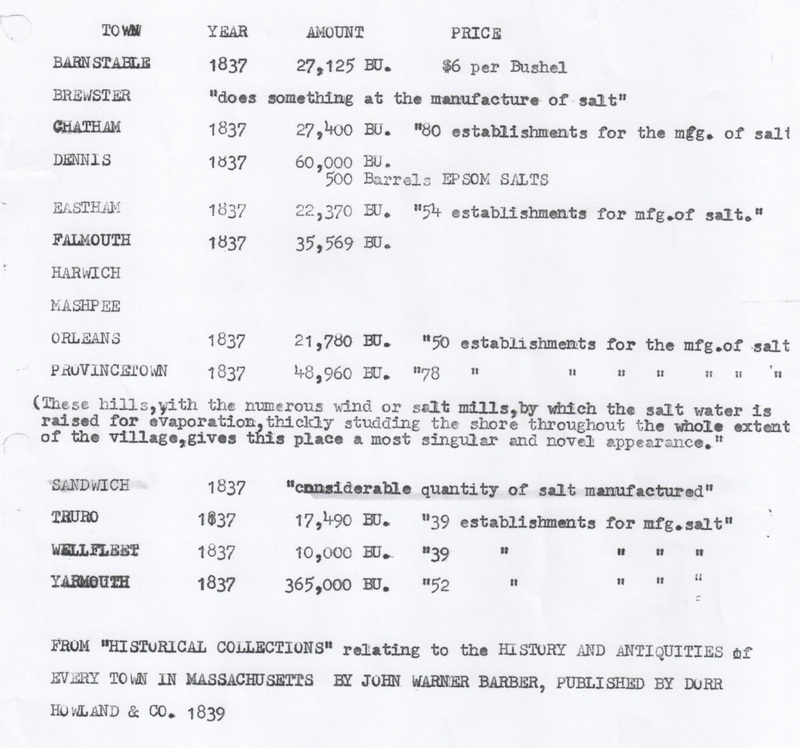 It was cheaper and easier to mine salt from the ground, and slowly the saltworks on the Cape started to disappear. The railroads meant that the New York salt could be shipped, and even with shipping, it was cheaper. The last saltworks was taken down in 1888. I'm not sure if there were any commercial salt operations on the Cape between then and now. But now that shipping's getting more expensive, both dollars-wise and environmentally, they're starting to make a comeback. 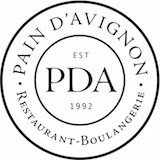 We have Wellfleet Sea Salt Company and Cape Cod Saltworks, and there's also a salt company starting up on the Vineyard. Next week, I'll bring you more on the actual historic process of producing sea salt. I know it was a good weekend because the basement is organized, the kitchen is clean, we ate three meals with friends, and Sally went off to school this morning with a homemade soda scone in her belly. 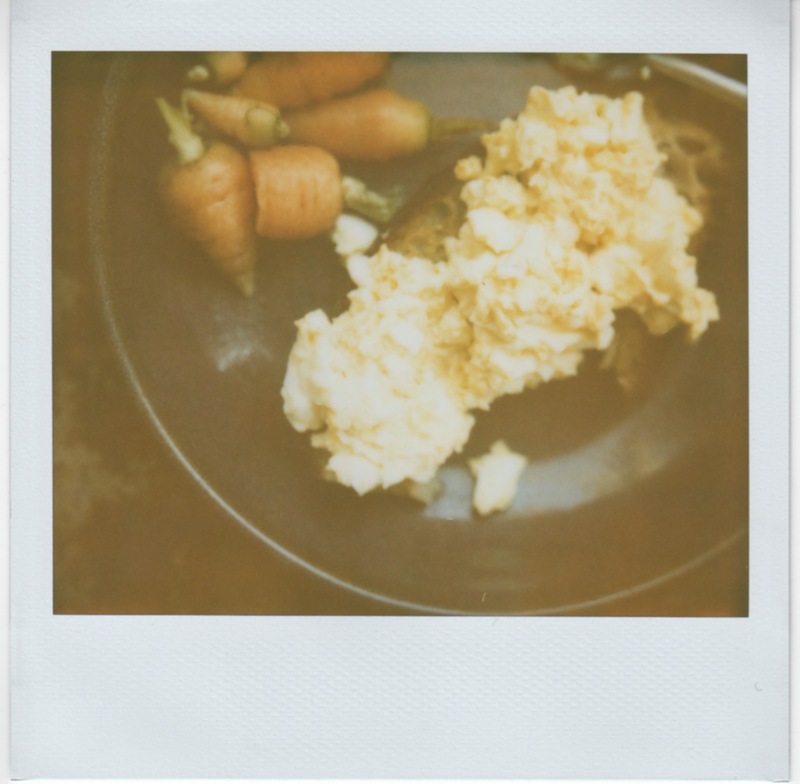 It is the best, I think, when you rediscover an old favorite recipe. I have no idea how Darina Allen's Brown Soda Bread got lost, but I'm very glad to have found it again. It is the kind of thing you can make on a weekend when you also need to caulk the tub and rehang the closet door and take everything out of the kitchen cupboards and wipe off the molasses rings and still have time to make waffles, go to a potluck, and spend Sunday afternoon with friends and cousins. In other words, it is the kind of bread we very much need. So without further ado, I'll let you two meet. I've changed the recipe a tad—Darina uses a bit of all-purpose flour, which I don't find necessary—and she also bakes hers in a loaf pan, while I like to drop mine into a tin as little scone-muffins. They're best hot, they're good with butter, and they're even better with homemade blueberry jam. I think that's all you need to know. Darina Allen has a whole chapter on soda bread in her book Forgotten Skills of Cooking. (I've said it before and I'll say it again: this is a fantastic book; you want to own it!) She has a white version and this brown version—"Mummy's," which I love because it makes a good healthy treat at breakfast or with soup. They will last a few days, but it's best to eat the majority fresh out of the oven. Preheat the oven to 400 degrees F. Grease a standard muffin tin. Whisk together all the dry ingredients in one bowl, then combine the wet ingredients in another. Pour the wet ingredients into the dry ones and gently fold together. If necessary, add more buttermilk—you want the dough to be wet and "slightly sloppy." Divide the dough evenly between the muffin spots and bake for about 25 minutes, or until golden and just cooked through. 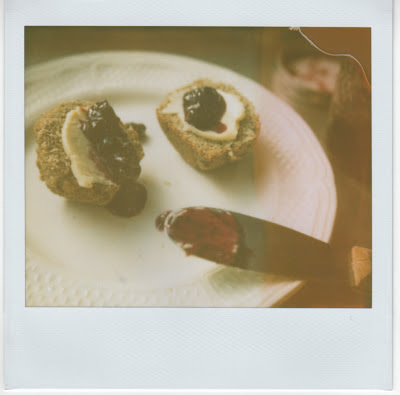 Try not to overcook; the scones will get very dry. Still, it's seed ordering time. I placed my order on Sunday. While the wind howled outside, I paged through my mom's Fedco catalog, circling Rattlesnake Pole Bean and Nantes Fancy Carrot OG. I read the descriptions while Alex entered the quantities into the computer, and by bedtime we had a very impressive list. 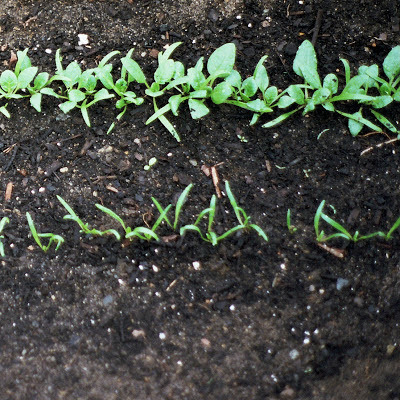 Very soon we should be receiving seeds for four kinds of beans, sugar snaps peas, dark star watermelons, two kinds of cucumbers, a zucchini, a radish, a beet, some winter squash, and much, much more. I always over order, except for the one year I under ordered, and I now over order on purpose. Running out of seed is a terrible thing. My friend Victoria subscribes to the same philosophy. "Always order twenty percent more than you need," she tells me. "You never know when a row's not going to germinate or you're going to plant too early." 1) Okra. Okra is a southern crop—"a trip," Victoria says. She grew it last year but planted too early and lost a few rows to a cold snap, and then too late for the 90 day variety. This year she's trying a dwarf called Cajun Jewel which only takes 65 days. As for eating, she says okra's good for frying or cooking in gumbo. 2) Fish Pepper. Fish is a mutation of a Serrano pepper that's shaped like...you guessed it! A fish. Apparently it was popular in African American communities near Baltimore and Philadelphia in the early 1900s. The peppers are green and white striped, turning to orange and brown striped, and finally to red. They're about two inches long and fairly spicy, and they're supposed to pair well with shellfish. Victoria's thinking they'd be good in a mignonette sauce to serve with oysters. 3) Rainbow Lacinato Kale. This is a cross between your traditional Dinosaur kale and Redbor. Redbor is all red, Dino is green, and together you get red, blue, and purple with the usual bumpy Dino leaf. The variety is cold-hardy, productive, and slow to bolt. Victoria says she's sold! 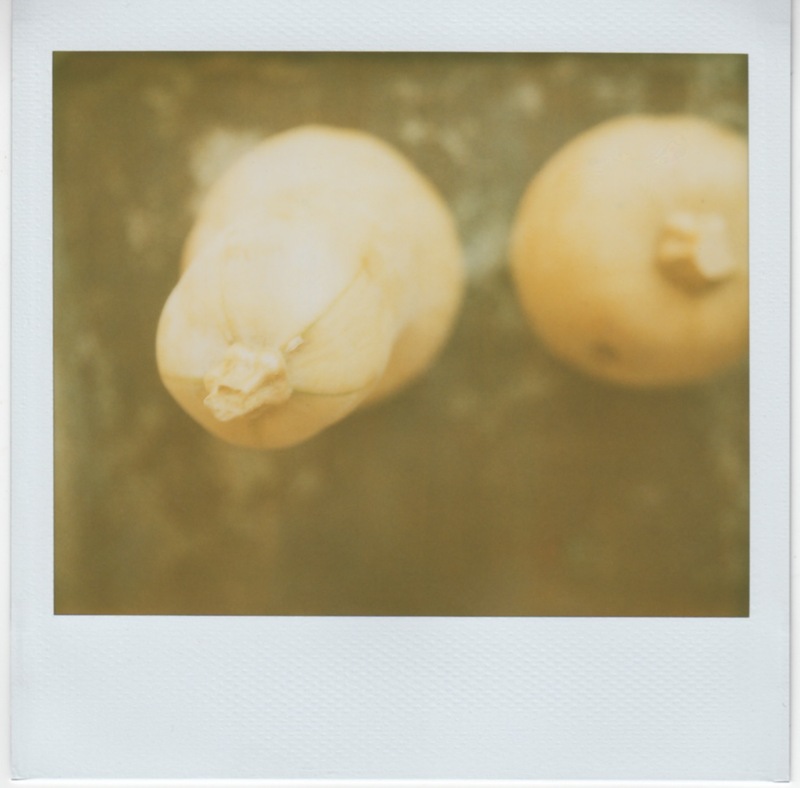 4) Sunchokes. Sunchokes are tubers. Apparently the first European to spot them was Samuel de Champlain, who saw them in a Native American garden on a visit to the Cape. They're native, but they're also invasive in the sense that they'll take over, for years on end, wherever you plant them. Victoria says she's okay with this, because not only do they produce beautiful yellow flowers, but the roots are also good food. They're starchy, like potatoes, and can be sliced thin and pickled for sushi, mashed, or made into gnocchi. 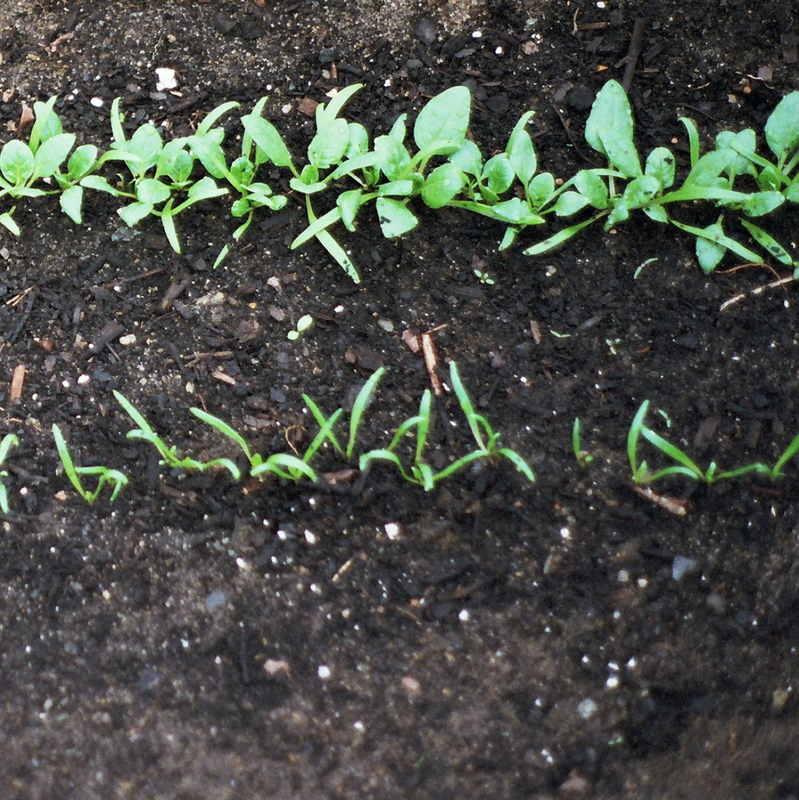 You can read tips from previous posts on seed ordering here: 2010, 2011, all about tomatoes, chicory varieties, and spring garden chores for those of you itching to get out. Happy seed ordering everyone! This morning we stood in the kitchen side by side. We both held whisks, measuring cups, spoons. She was on the step stool; I used the knife. First we made banana bread—three over ripe fruits, flour, yogurt. A spoonful of grapefruit zest, some olive oil, maple syrup. Eggs. We whisked, stirred, poured. Turned on the oven. Next up was the soup. I peeled the butternut, she examined the chunks. Orange flesh, still firm after four months on the counter top, warm and dry in the kitchen. We talked about Tim Friary as we scooped out the seeds, the fact that this squash came from his farm, that he'd grown it. We got out chicken stock, an onion, duck fat. Meanwhile, we put a pot of beans on to simmer. They were pintos, the last of last year's CSA. What we're making is dinner. It's snowy, and she has the croup. We need cold air, steamy tea. A walk outside all bundled up, then a good sit by the wood stove and a bottle of hot cider. And for dinner: biscuits, butternut squash soup with sage and beans. A side of broccoli, or maybe kale. And homemade banana bread for dessert. This is a simple, homey soup. It's adapted from The Art of Simple Food, by Alice Waters. Soak the beans in water overnight. Drain them and put them in a large pot with the chicken stock. Bring to a boil, lower the heat, and simmer until the beans are tender, about 45 minutes. Pour the beans through the strainer, reserving the cooking liquid, and set aside. Warm up the duck fat over medium-low heat in a large, heavy-bottomed pot. Add the onions, sage leaves, and bay leaf and sauté for about 10 minutes, or until the onions are soft and translucent. Stir in the cooking liquid from the beans along with the squash. Season with salt and pepper to taste and simmer until the squash is very tender. Use an immersion blender to puree the soup, then add the beans. Taste again for salt and pepper, season as needed, and serve hot. Note: if you have extra sage, fry the leaves with salt and olive oil in a skillet. They make an deliciously crispy topping for the soup.